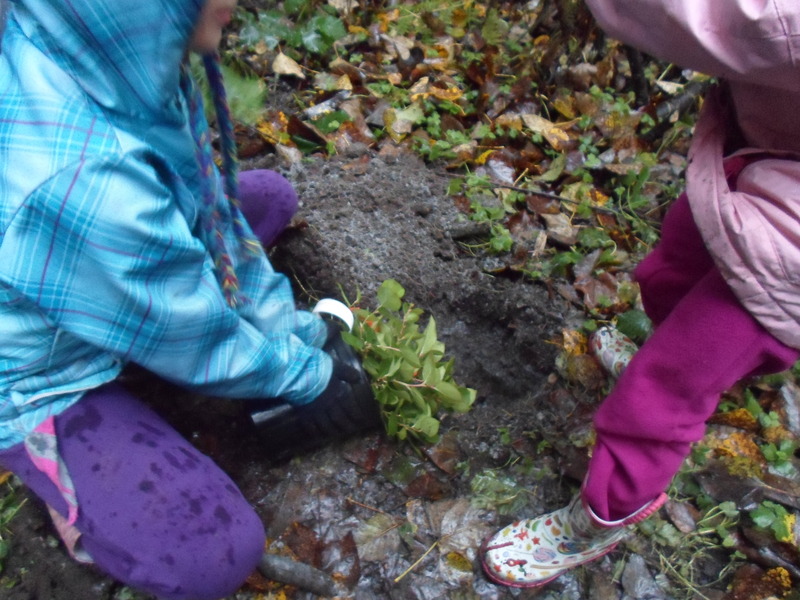 Yesterday, a small group of dedicated and hard working girls from three different units in our district got together to plant native plant species in Stoney Creek Park. 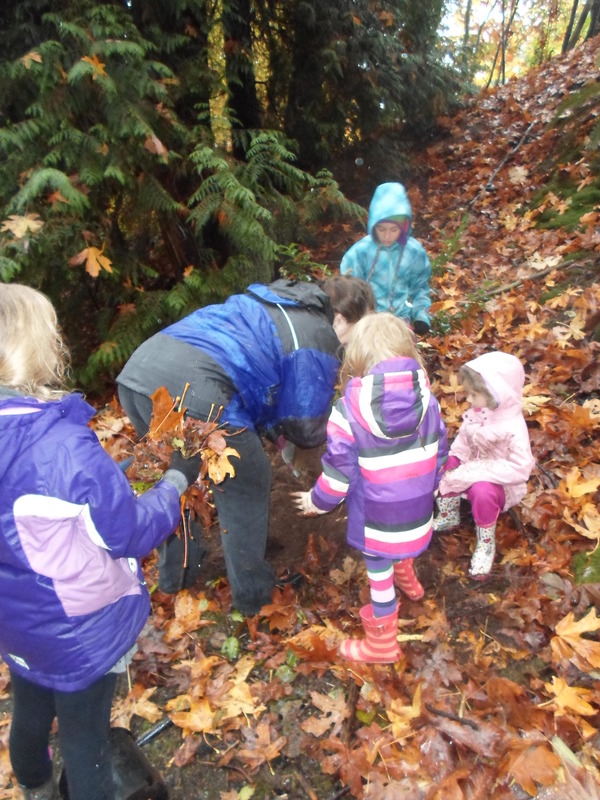 The event was organized by the 1st Burnaby Mountain Sparks unit, who had won a tree planting grant from Girl Guides of Canada & TD Bank’s Friends of the Environment. Helpers also came out from the 56th Guides and the 14th Pathfinders. 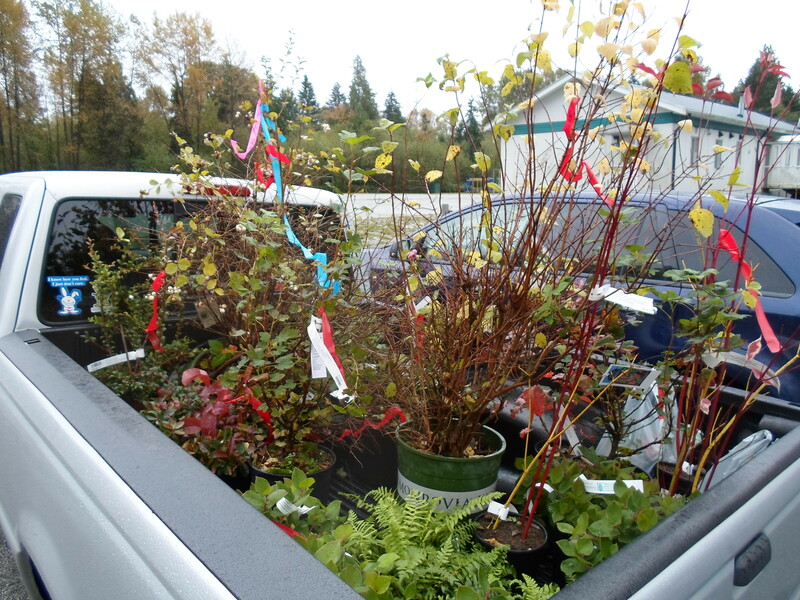 This event was part of Girl Guides of Canada Operation Earth Action National Service Project. The event was also made possible with the support and expertise of the Stoney Creek Environmental Committee. One interesting highlight was that there were salmon spawning in the stream as the group worked — it definitely helped remind all of us why we were there. 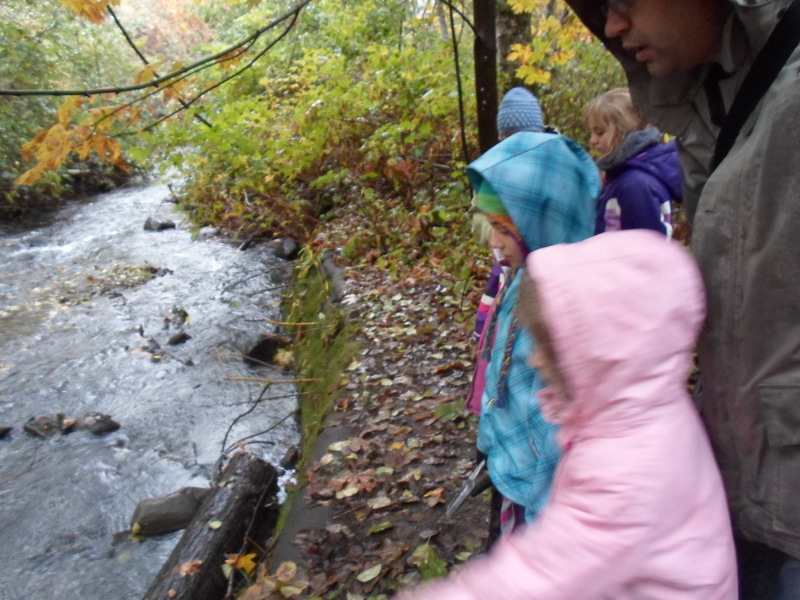 Stoney Creek is an urban stream that successfully hosts salmon every year. The natural environment in that area is precious and also at risk. That’s why it is important for people to help protect and replenish the area’s environment. It was a cool rainy day, and everyone got mucky. Girls worked in pairs with either a Guide or a Pathfinder paired with a Spark, and the older girls showed incredible leadership skills as they worked with their buddies to accomplish this task. After the planting everyone got to relax in the Environmental Centre with hot chocolate, cookies, and rice krispie squares. The ladies from the Environmental Centre told us about some of their other local projects and everyone got to take home some goodies, including a neat key chain showing different salmon species. A HUGE thank you goes out to everyone who came out for this event. It was a lot of work, but it was for a great cause. A special thank you to Gail and Christine from the Environmental Committee — we couldn’t have done it without them.